An All Nippon Airways (ANA) Boeing 777-281(ER) aircraft in flight. Credit: Christian Junker. 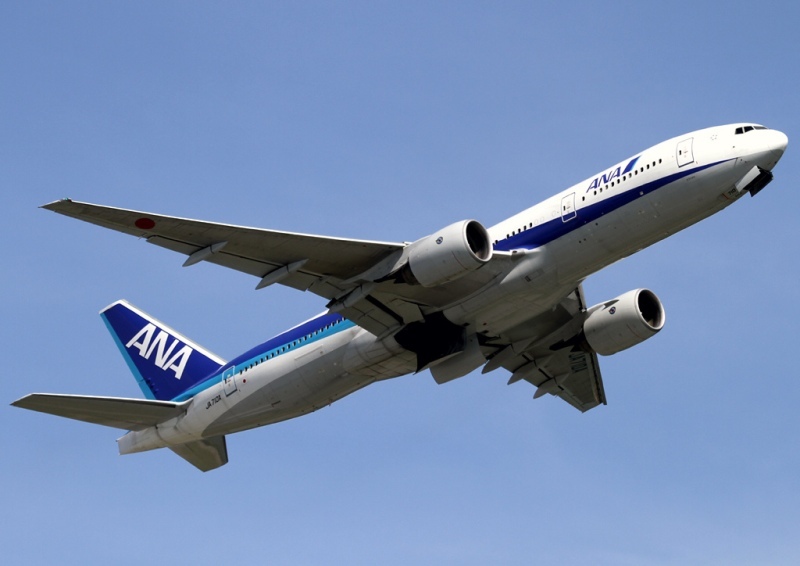 Japan’s All Nippon Airways (ANA) parent company ANA Holdings (ANA HD) is set to acquire 9.5% of outstanding shares in PAL Holdings. ANA HD is expected to invest $95m in PAL Holdings, which has undertaken an expansion programme to grow PAL’s fleet and network to nearly 100 aircraft and 80 destinations across four continents. The investment is subject to the fulfilment of certain closing conditions. The shares will be purchased from Trustmark Holdings, which is owned by the Lucio Tan family and holds the largest shares in PAL Holdings, the parent company of Philippine flag carrier Philippine Airlines (PAL). The acquisition is part of ANA HD’s Mid-Term Corporate Strategy for FY2018-2022, which aims to expand the company’s global group network and strengthen its partnerships with foreign airlines to better serve its passengers. It is also in line with ANA HD’s belief in the potential of PAL and that the Philippine air travel market will continue to become an economic leader in the Association of Southeast Asian Nations (ASEAN) region. ANA HD president and CEO Shinya Katanozaka said: “Asia is a key growth market and we believe Philippine Airlines is in an excellent operational position to capitalise on both the strong uptick in air traffic growth, as well as the vibrant, expanding Philippine economy. ANA currently flies 14 weekly flights on two routes to the Philippines and PAL operates 84 weekly flights to serve nine routes in Japan. In a separate development, ANA HD has decided to order a mix of 48 new aircraft, including 30 Boeing 737 MAX 8 and 18 Airbus A320neo. Aircraft deliveries are expected to be completed between 2021 and 2025.